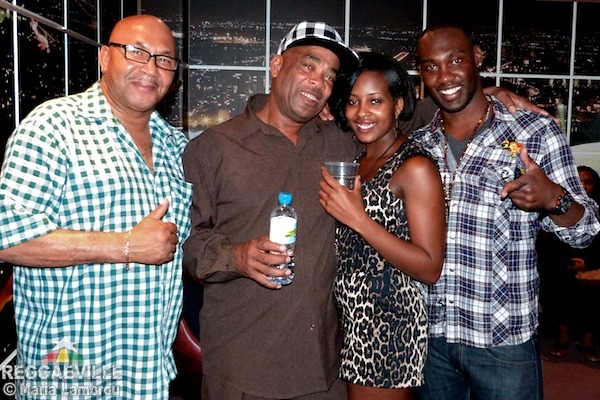 Day four of the Independence Celebrations at Indigo2 was a vintage deejay special. 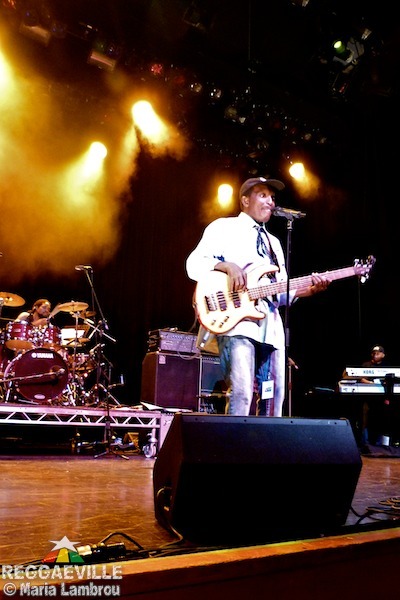 U Roy, Dennis Alcapone, Tappa Zukie and Yellowman have all played fairly recently here in London - and the event was not sold out. Nonetheless, the chance to hear the evolution of the talking craft from the late sixties to the late eighties all on one bill remained an interesting draw. With the Olympics now in action, the site of the larger o2 Arena in Greenwich was heaving with activity. In an odd contrast, however - and almost unheard of at a UK reggae show - host Natty B from Choice FM started proceedings in the Indigo2 less than an hour after doors opened at seven when only a couple of hundred people had gathered inside. Natty announced the house band for the night - the eminent bass player and singer Lloyd Parks and his We The People Band - with Bo Pee on guitar and the great Robbie Lyn on keyboards. The seemingly ageless Parks sang the Temptations Ain't Too Proud To Beg, Culture's Jah Jah See Them A Come and his own Mafia - complete with melodica sounds - at times soaring into his Impressions era falsetto. The perfect ensemble for an evening of major key niceness - the classic rhythmic blank canvas for the deejay of the seventies and eighties to ply their trade. Oddly, teen tearaway turned talking sensation in 70s Britain and Jamaica, Tappa Zukie, who had top billing on the poster and ticket, came on first, just after eight, when many of his fans were not even in the building. Ambling on in a Jamaican flag coloured waistcoat and cap with a twinkle in his eye he chanted the rudiments of classics like Oh Lord (on the Storm rhythm) and Pick Up The Rockers. His voice was deeper and rougher than the early records but he still has personality and stage presence in plentiful supply - leaning in to the ladies in the audience and chiding the trombone player Stingray for hiding behind the curtain. He also had some cutting words regarding Independence "I'm celebrating but I don't feel good about it. It is not for the people, it is for the government". He closed his half hour set with A Natty Dread A Weh She Want singing next Saturday's headliner Horace Andy's part in an amusingly loose way. 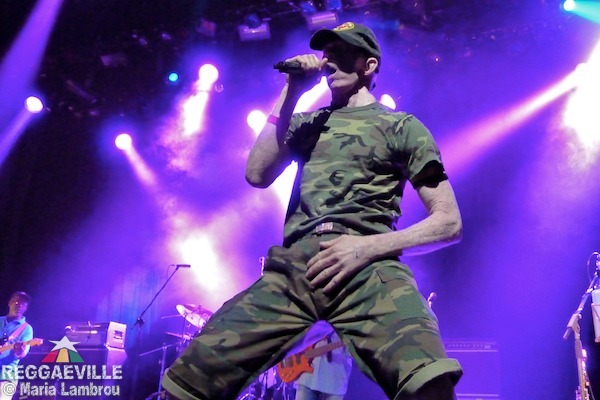 After more major key business from selector Rudy Ranks (in the form of Marcia, Althea and Donna, Jacob Miller and a Cornell Campbell special) dancehall giant of the 80s King Yellowman skipped on, in camouflage jogging gear, at ten past nine. Again, his sandpapery growl is nothing like the tunes of old yet his ability to entertain and uplift are second to none, while his legendary energy levels - demonstrated by split kicks and press ups on stage - mean he could enter the London 2012 Olympics if he wanted. He shared Zungguzungguguzungguzeng, I'm Getting Married In The Morning ("Marriage is no joke thing" he cautioned before changing the words to "I'm getting divorced"), Mr Chin (where Mr Parks bass on the Vanity rhythm thundered to the fore) and a hugely well-received Blueberry Hill. Returning for an encore twice, he capped his 45 minutes with Ram Jam Master and Toots' Country Roads (somehow he can imitate his fellow Respect Jamaican really well) as the now semi-full venue waved their hands in the air. A true ambassador for humanity, the born again Yellowman warned against racism and negative lyrics, saying "Freedom doesn't mean freedom to do say the wrong thing". The second half of the evening was given over to two elder statesmen, who concentrated less on moves and stage presence because it was all about their voices and flow. 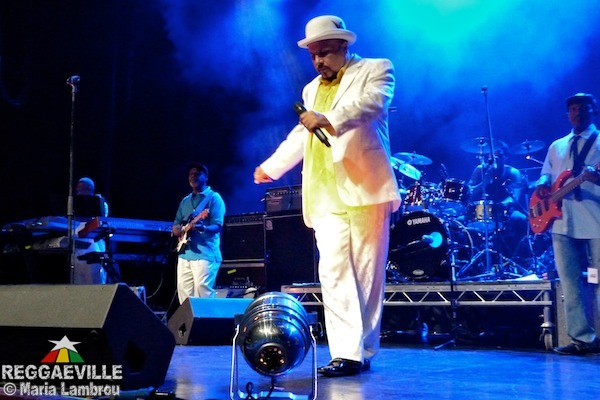 "I'm the time machine" said Dennis Alcapone, decked out in a white bowler and suit with a gold shirt, as he played an hour of hits from one of the most extensive deejay back catalogues in history. For the singing parts he brought former Cimaron Winston Reedy in spangly waistcoat, red shirt, and a black fedora with red band; a man capable of being anyone from Slim Smith to Eric Donaldson to Nora Dean as Alcapone's repertoire required. The only shame was that the musicians came in slightly wrong on his immense Cassius Clay and needed to start over. The confusion was understandable though, given Parks and the People had to learn some fifty rhythms across nearly five hours - and this was the first minor key piece of the night! Daddy U Roy, OD, in a striped jacket that matched his charcoal locks, was on at ten fifty five, and like Alcapone was in impeccable voice. The venue had thinned out a little - perhaps punters didn't know London Underground was running later for the Olympics - but the majority who stayed heard Wake The Town, Natty Rebel, Rule The Nation, Wear You To The Ball, all delivered as they have been consistently on stages around the world for years. U Roy, who has a new album Pray Fi Di People, out in October, didn't share any modern dancehall excursions like at SummerJam, keeping to Jamaica's heritage. A slight dab of his handkerchief was the only indication that the dapper daddy was breaking a sweat. The one quibble was Winston Reedy would have done a better job of singing Curtis Mayfield/The Techniques/Uniques, during Chalice In The Palace, than U Roy's own backing singers. As U Roy left the spotlight, Dennis Alcapone, a true man of the people, was meeting his fans and posing for pictures at the bar, still dressed to impress. "You think it's finished?" said Natty B, "Then we have a surprise". In another bizarre twist, the promoters, fearing complaints, sent Tappa back on to redo Oh Lord and Natty Dread A Weh She Want - jumping into the photo pit to meet the front row! By this point, however, the hardworking band were too tired to play any more so Zukie closed this chaotic, strange but overall entertaining show with an a capella of Raggy Joey Boy, as the concert wound down and the audience dispersed. Despite his critical words regarding Independence, Tappa told Reggaeville "It's nice to be here celebrating my country's 50th. When we got independence I was seven years old at Russell School. It was fun as a little boy because there was a celebration going on school where they gave away from little cups so it was a big thing for us." Of the lineup he said "I'm also glad to be on stage spitting with the Teacher, U Roy".